The government wanted a technology and a solution for monitoring plant data remotely at multiple offsite centers, and analyzing the results to make better decisions, developed in conjunction with the 3 Japanese nuclear vendors. This would allow them to make judgments independently, without having to rely completely on the plant operators such as TEPCO. A second goal was to obtain the best available American AI (Artificial Intelligence) technology for solving these kinds of problems, providing a mechanism for R&D and technology transfer to the 3 vendors. A related goal was to build a system better than the American NRC-sponsored RSAS system. R&D and training sessions were run to achieve the technology transfer goals. Software prototypes were built exploring a wide range of technologies, including case-based reasoning extended for real-time use, logic diagrams, signed digraphs, and Bayesian methods. (These methods are described in the Guide to Fault Detection and Diagnosis.) We ended up emphasizing graphical-language solutions, as the engineers tended to think in terms of logic diagrams, and very detailed fault trees were already available as part of risk analysis documentation. It was simpler for the engineers to enter the diagrams directly on the screen in graphical format than to try to translate them into some text-based form. Although the implementation has changed from the original G2-based solution, the form of the logic diagrams in the current system are still essentially the same, as seen in this current ERSS screen image. The final solution included data transmission to offsite command centers, fault diagnosis and predictions using quantitative simulations and qualitative fault models, and also predictions for the spread of radioactivity in the environment. NUPEC (now JNES) achieved the goals of technology transfer, and built the ERSS (Emergency Response Support System). JNES currently maintains 20 “offsite centers” for ERSS. The ERSS description from JNES (pdf) is in Japanese. 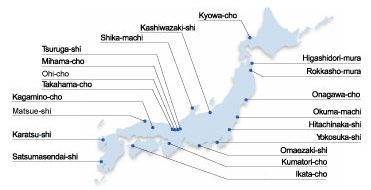 The role of ERSS is described in chapter 3 of the overall Japanese Nuclear Preparedness Status as of December, 2010. In addition, the GDA technology was productized as a byproduct of this work. The GDA product became one of Gensym’s biggest products, generating 15% of Gensym’s revenue, selling about 1500 copies.